Takumi on Level 3 of Market City near Chinatown, is quite possibly one of the cheapest yet decent sushi trains I have been to so far. 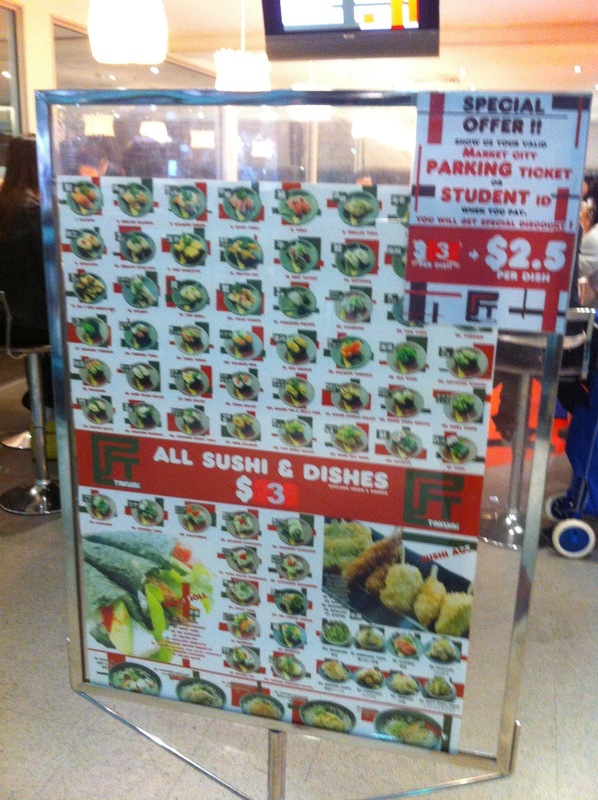 They have a special offer whereby all dishes are $3 and if you are a student (aka me) or have a valid parking ticket at Market City, then its only $2.50 per dish! Can a deal be any sweeter than that? Just remember to bring you student ID/parking ticket with you though. 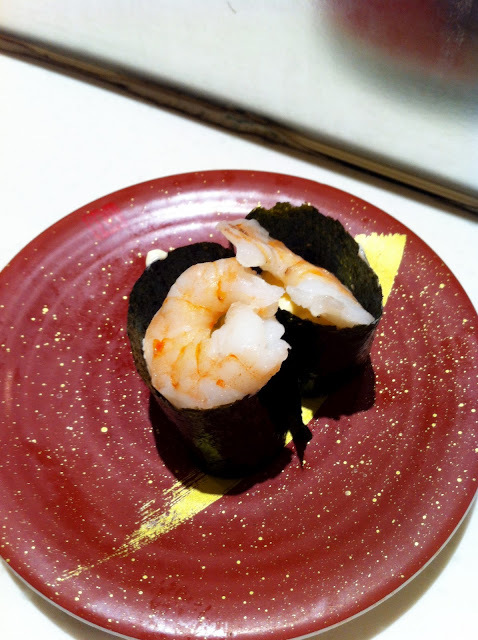 Naturally, don't expect those fancy-looking sushi rolls with all its colourful layers and sprinkled with caviar. No offer is that sweet :P Nevertheless, they do have quite an extensive list of seafood and sashimi choices! 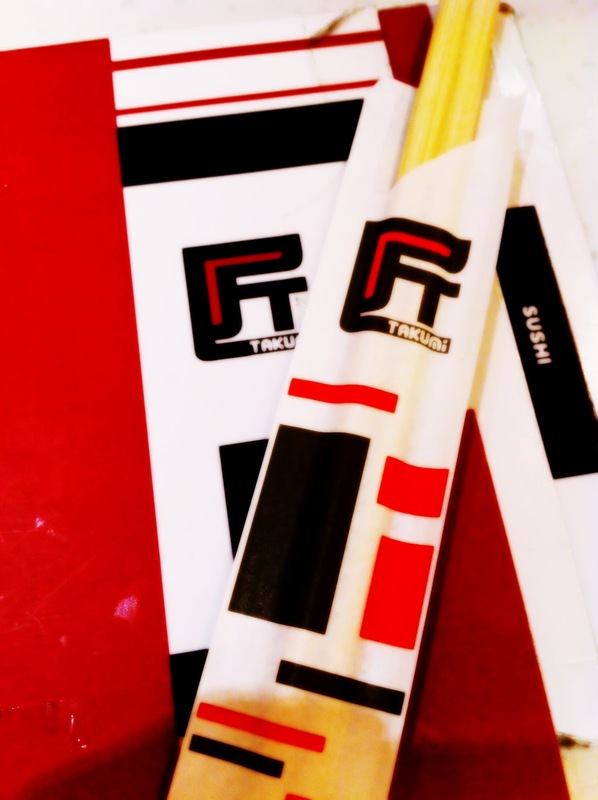 On the whole, Takumi is more like your everyday-type of sushi train. M has the highest recommendations for Takumi, often praising how unbelievably cheap yet delicious it is. 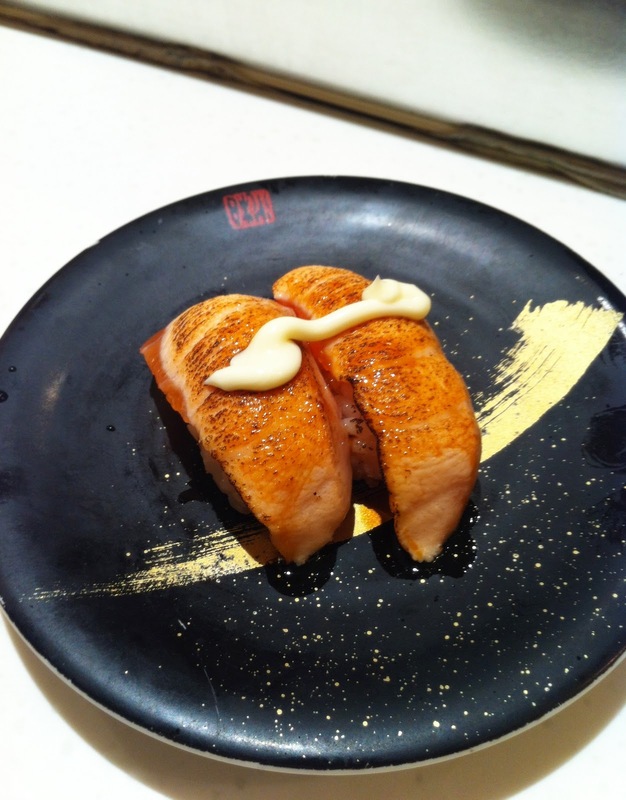 His love for its Grilled Salmon is extreme and is relatively understandable once you have tried it. 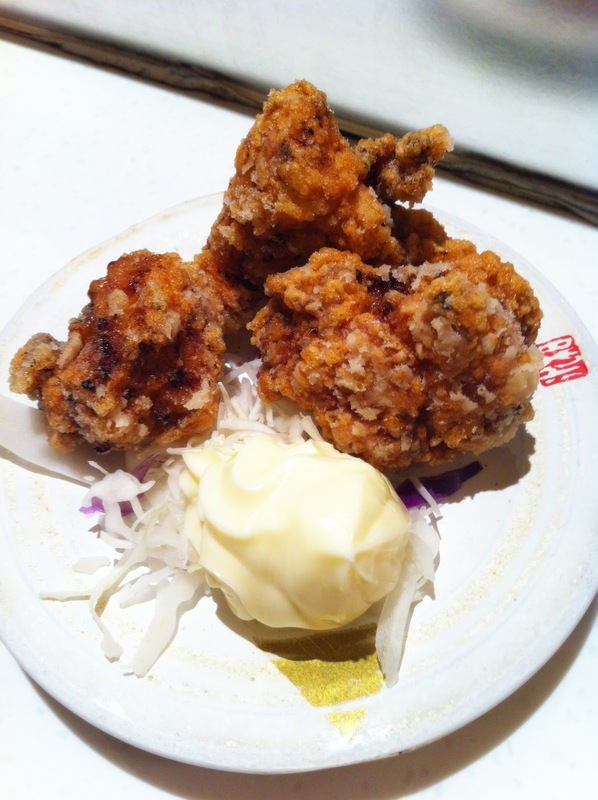 It is perfectly grilled and will almost melt in your mouth alongside the mayo. The Prawn Mayo, although does not look like the most appetising dish on picture, turned out to be really good, that is, according to M. I wasn't too keen to try it and so apparently I missed out. 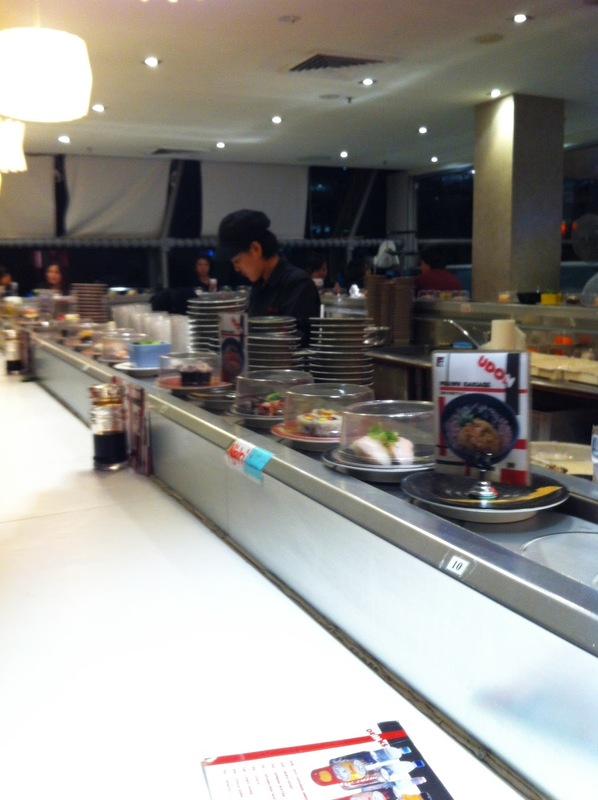 The good thing about going to Sushi Trains later than normal dinner times mean that most of the sushi dishes are ordered as opposed to directly taking them from the roller train. 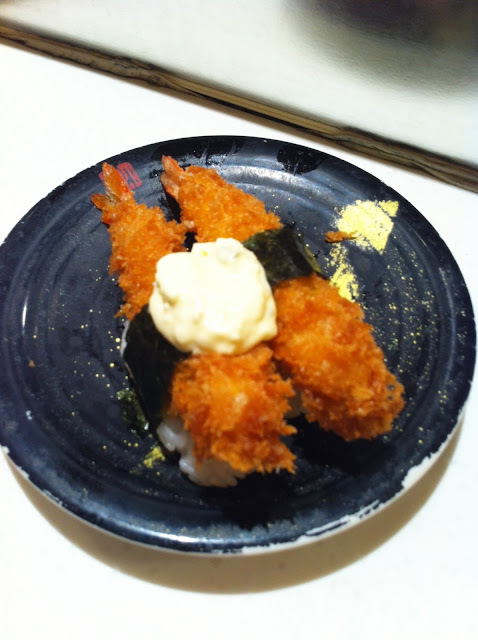 As a result, our Prawn Fry was absolutely delicious. Straight out from the kitchen, nice and hot with strong crunches in each bite! 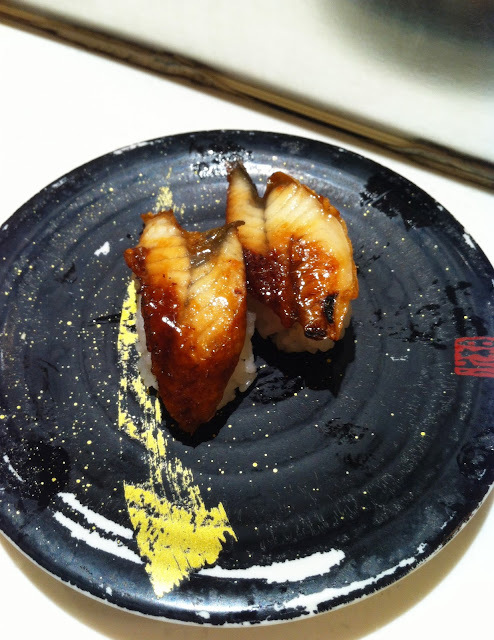 The Eel sushi was also better than usual as it was hot when served! Honestly, the temperature of the dish can make so much difference. 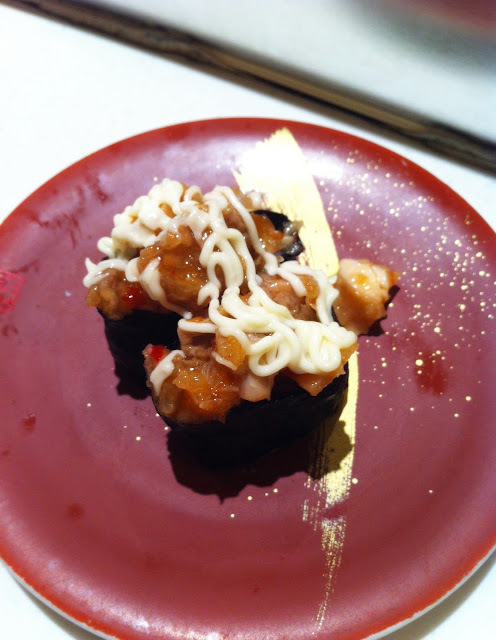 The Hamburg sushi is quite a unique one as it is essentially a mini burger patty with rice. 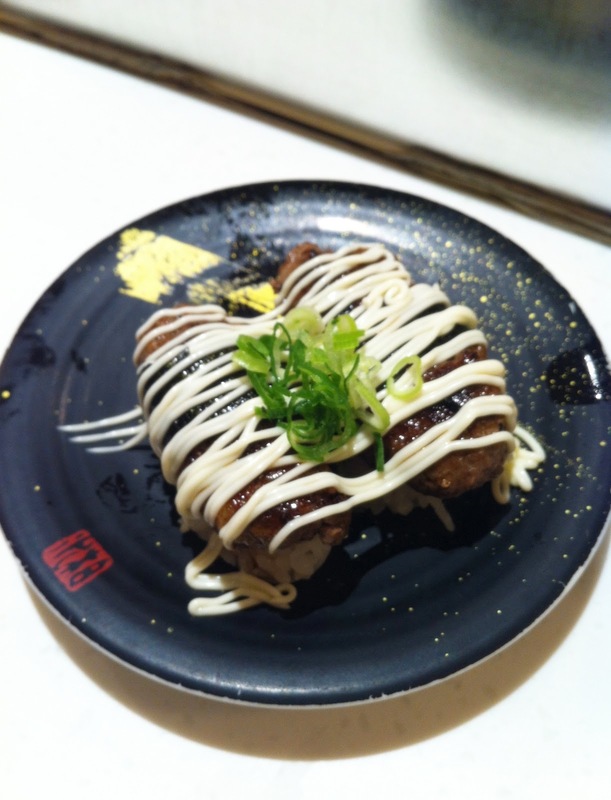 The meat was packed with flavour and topped with such generous splatters of mayo, it simply could not go wrong. 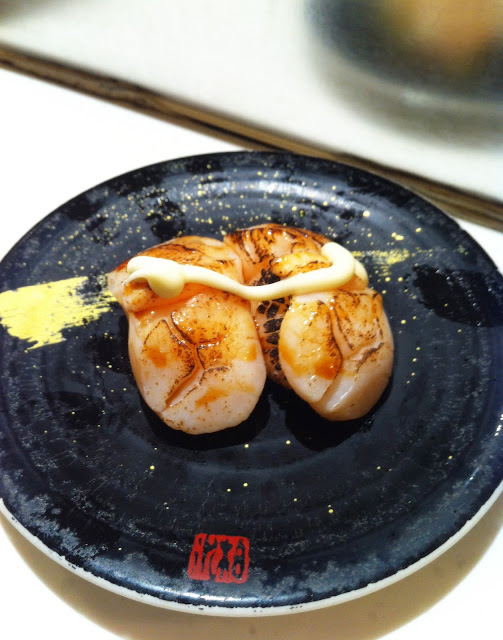 The Grilled Scallop was also very tasty! For $2.50-3, you definitely get good value here. The Sweet Chilli Chicken was a favourite for me! I love how generous Takumi is with their mayo. Apart from sushi, they also had side dishes which also, only cost $3 ($2.50) each! Absolutely amazing! 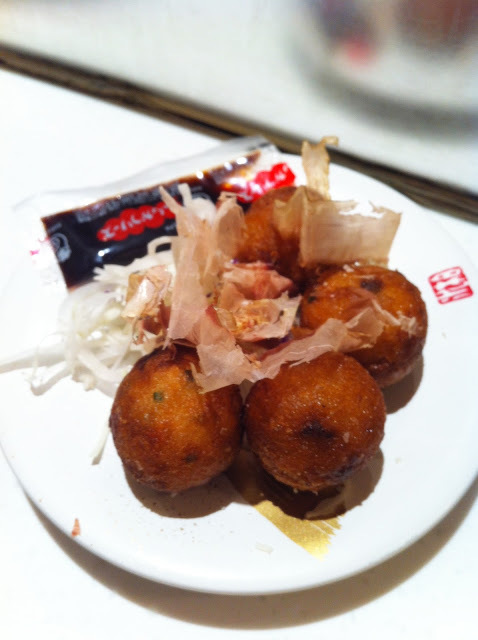 The Takoyaki was steaming hot and really crunchy on the outside. The Chicken Karaage wasn't too bad either. 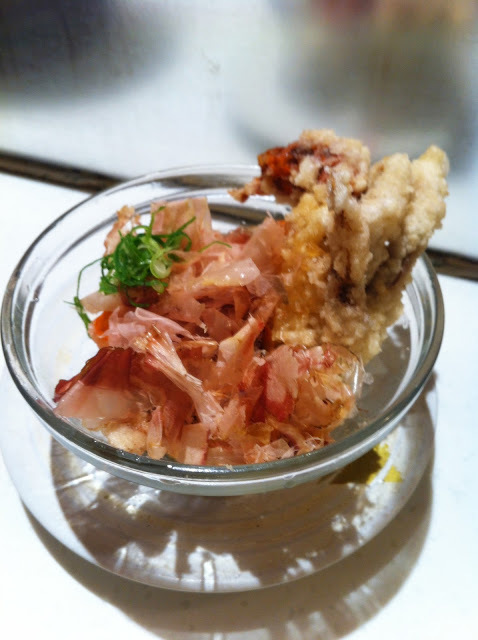 Finally, the Soft Shell Crab. Interestingly it was actually fried in its one whole piece and so M & I had to awkwardly tear the crab apart in half :P Regardless, the taste was great! Overall, definitely check this place out if you're a student on a budget, craving for some sushi! All 11 dishes above came to $27.50 on the bill. A dinner under $30 for two hungry people is definitely a bargain. In my opinion anyway.